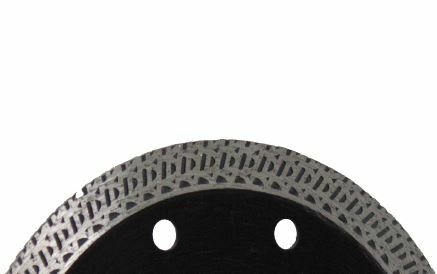 This blade can be used for an efficient cutting on different materials: bricks,concrete, granite, tiles, ceramics, etc. 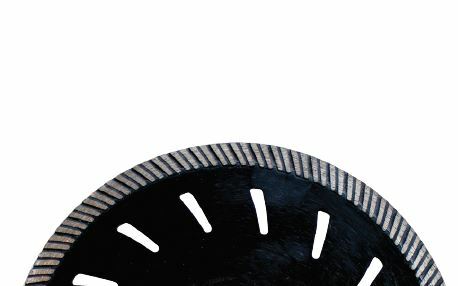 A turbo multipurpose blade for cutting quartz, silestone, porcelaine, granite, hard natural stone (basalt, silica, etc) and other hard and compact materials. For cutting natural stone: granite, basalt, quartz, silica, silestone, etc. Professional use of marble especialists and builders. Not suitable for other materials. It cuts vitrified materials and hard porcelain materials. 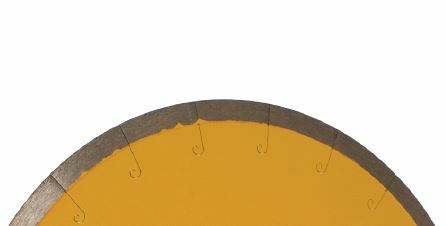 Central flange to allow angle cuts. For cutting ceramic materials, porcelain and artificial stone. The finest cut on all type of ceramic dry cuts. 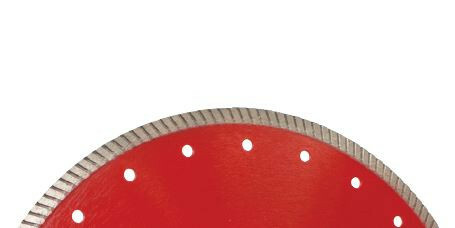 Perfect for refurbishing jobs and the installation of self-ventilated façades needing a thin and accurate cut without chipping. For concrete cutting using power cut – off saws. It cuts concrete blocks, but also pipes, kerbstones, and abrasive construction materials. 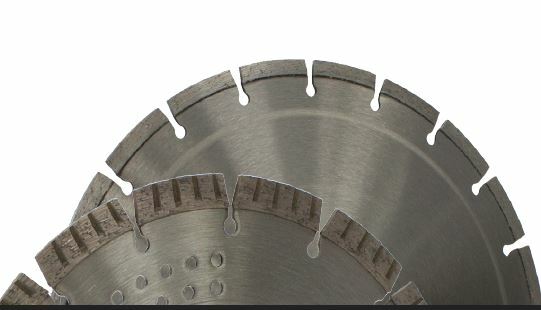 A perfect blade for rentals: excellent performance on all type of floors, asphalt, concrete with either lime or silica aggregates and fresh or old concrete. Especially suitable for volcanic agregates, basalt, lignite. Good performance on Asphalt. For intensive cutting of hard concrete, highly abrasive concrete and concrete blocks. 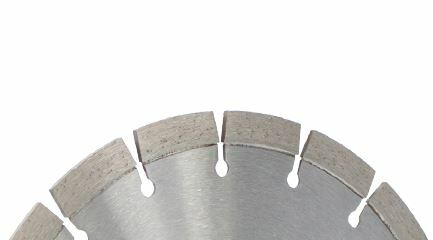 One blade to cut different materials: bricks, concrete, granite, tiles, ceramics, etc.